1 Bdrm 1st flr Flat. Hall. Lounge. Kitch. Bdrm. Shower rm (CT band - A). Garden. Price over £40,000 Entry by arr. Viewing contact solicitors. (EPC band - C). 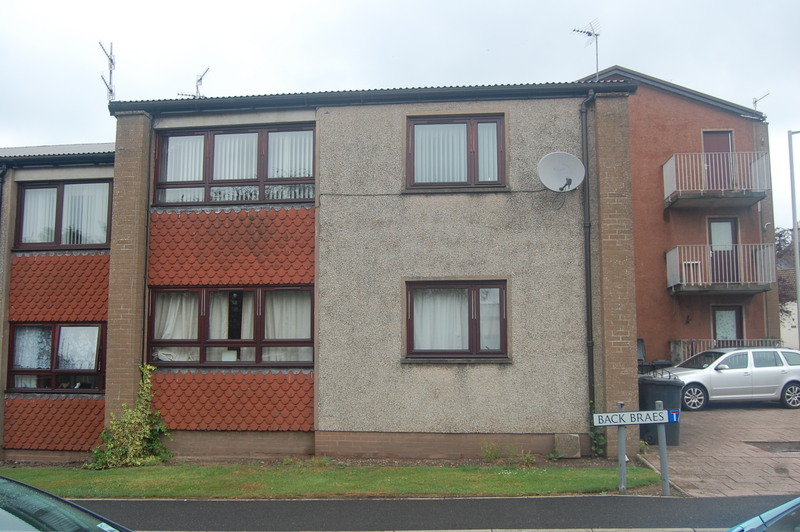 The city of Brechin is situated between Aberdeen and Dundee just off the A90 dual carriageway and within easy commuting distance of Montrose, Arbroath and Forfar. The town has 2 primary schools and Brechin High School caters for the teenagers. There are health clinics and dental surgeries in the town as well as a wide range of shops ranging from high street multiples to traditional local retailers. The county of Angus offers an unrivalled range of leisure pursuits for the active family with hill walking, hunting and fishing being available widely throughout the area. The glens and the Cairngorm National Park are an attraction for the outdoor enthusiast. Golfers fair particularly well with a wide range of courses on offer from the championship courses at Carnoustie, St. Andrews, Kingsbarns and Gleneagles to the local courses in Brechin and Edzell. 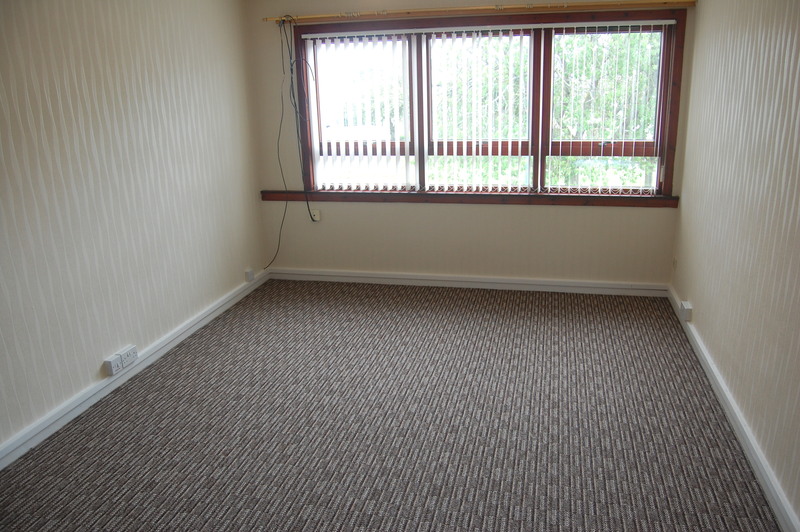 This is an upper floor flat of quality which is located within a short drive of the town’s amenities. It was built by the local authorities around 1960 and has been well maintained over the years. It requires a buyer with vision and good interior design skills to help it realise its obvious potential. 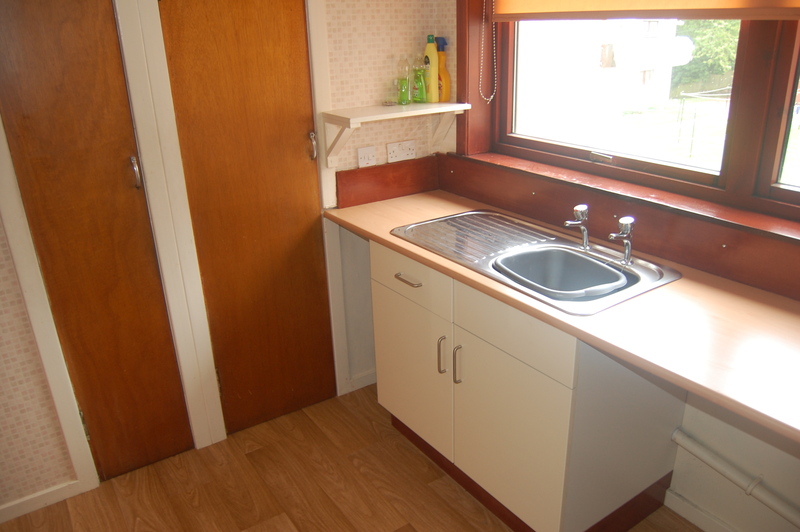 The apartments are well proportioned with many fine features. 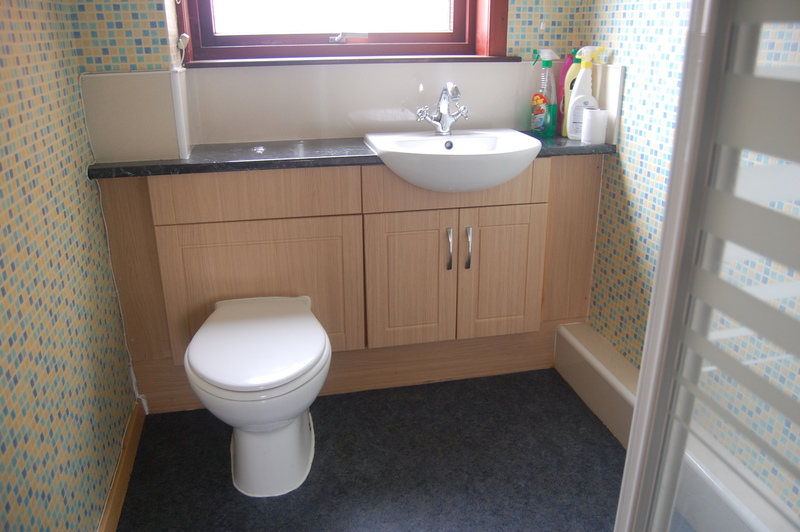 It comprises lounge, kitchen, double bedroom and luxury shower room. The property benefits from white meter heating and full double glazing. 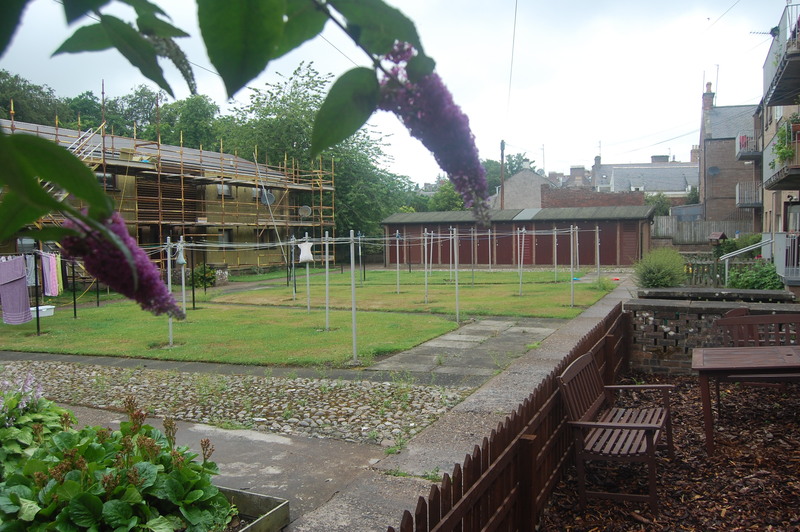 There is a shared drying area to the rear of the property and two useful storage sheds. There is ample parking in the area. Early viewing is recommended to fully appreciate the value of this upper floor home which will appeal to first time buyers and the more mature home purchasers alike. Accommodation A glazed door gives access to the central hallway which in turn leads to the lounge, bedroom and shower room. A hatch gives access to the attic. Coat hooks, entry phone system. Lounge 15' x 11’ 4.53m x 3.32m This is a bright and spacious public room with a pleasant aspect to the front over the greenbelt in a south easterly direction down Bridge Street. The Vent Axia storage heater provides space heating. TV point, telephone point. A shelved cupboard houses the electrical consumer unit and meter. 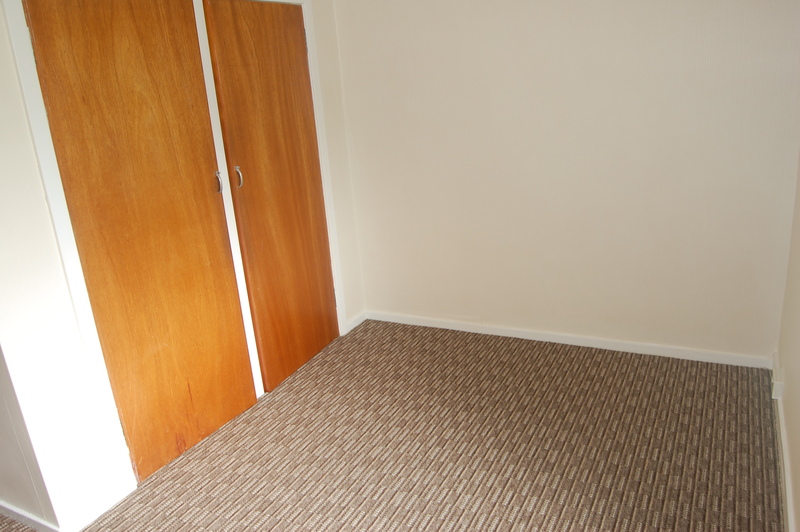 Bedroom 12' x 8' 3.62m x 2.42m This is a bright and spacious double bedroom with a window to the front enjoying a pleasant aspect. There are two fitted wardrobes with hanging rails and shelves. Wall mounted convector heater. This room is in need of redecoration. Shower room 7' x 5' 2.11m x 1.51m Modern fitted shower room with white suite which comprises low-level water closet, vanity style wash hand basin with low-level storage and shower cubicle with front entry glazed enclosure and Triton electric shower fitment. There is aqua panel lining to ceiling height within the shower cubicle. Vinyl flooring, extractor fan, window. Heating There is white meter heating in place with a storage heater in the lounge and a convector located in the bedroom. Double Glazing All windows are fitted with double glazed sealed units in timber frames. Security A security entry phone system is in place. Storage There is an external storage shed as well as a garden shed which provide useful storage space.